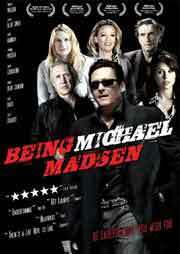 In the film, Madsen is accused by a tabloid magazine for having murdered a young actress and one particularly aggressive paparazzo is determined to prove it. Eventually, the hounded actor decides enough is enough and lays out an elaborate scheme to turn the tables on his pursuer and the tabloid media in general. Combining faux documentary footage with sit-down interviews with Madsen, his sister Virginia and actors such as Daryl Hannah, David Carradine, Harry Dean Stanton and Lacey Chabert, director Mongillo has created a terrific satire on modern celebrity culture. The film was reviewed on the Underground Film Journal back in 2007 and my two favorite parts of it center not on the main subject, but two of the actresses involved. One is Virginia Madsen who is absolutely hilarious in her sit-down interviews where she completely trash talks her brother through the entire movie. The other great bit involves what I believe is a bizarro casting move of Paige Davis of Trading Spaces fame. Every other actor involved in the film has co-starred with Madsen at some time or another, but the addition of Davis towards the end is a very inspired, from-left-field move. Since being reviewed here, the film went on to win the Audience Award at the Faux Film Festival in Portland, OR and Mongillo won the Best Director Award at the Mockumentary Film Festival in Hollywood, CA.